This is the time of year to be outside enjoying the lovely weather. So, why not do it in style by trying some of these great container gardening ideas and plant suggestions. 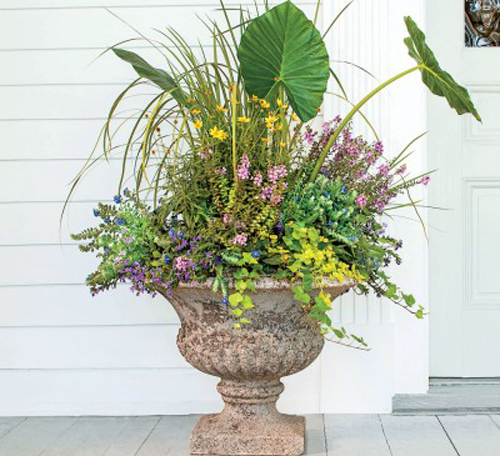 We are loving this arrangement called "Summertime flair.! Its full of elephants ear and tons of small colorful flowers. The over-sized leaves of the elephant ears lends a stately touch. They allow you to fill in the spaces around them with beautiful, colorful flowers. Rim the pot with a trailing ivy that will gently cascade over the sides. STUNNING! This one is called "Meet MiIss Lantana" Tougher than Clint Eastwood, lantana parties in heat, chortles at drought, and blooms in a slew of sunny colors from spring till fall. Plus, it's nectar-laden flowers attract pretty butterflies like moths to a flame. 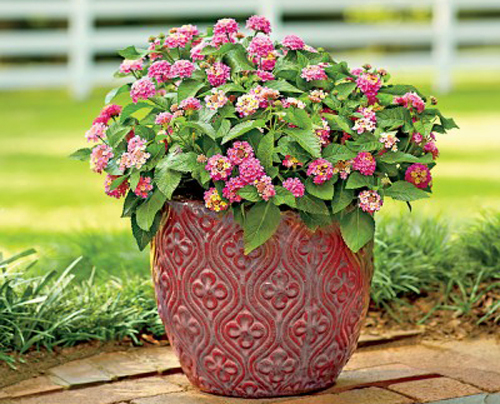 Using a planter that has the same color palette as the flowers is wonderful. Here is "Bring on the Sun". 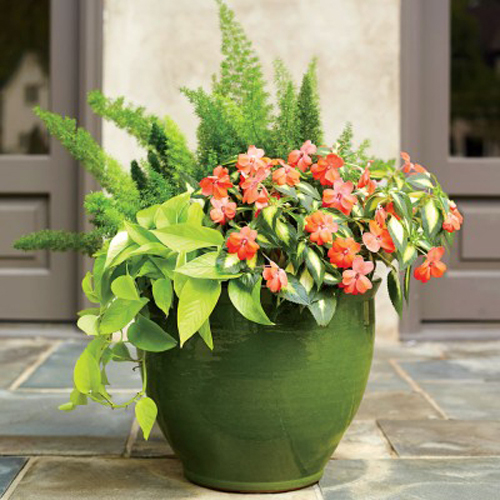 The high drama, low maintenance container spotlights Variegated Spreading Salmon 'SunPatiens', but leaves room for a foxtail asparagus fern and a 6" pot of Neon pathos. Lots of green and a touch of color. NICE! Lastly here is a "Quick Container Combo". In the largest pot, working from back to front and tallest to shortest, densley plant 'Liberty Classic Yellow' snapdragon, 'Bouquet Rose Magic' dianthus, and 'Tickled Pink' veronica. Place 'New Look' dusty miller and 'Lemon Ball' sedum in the front to trail over the edge. 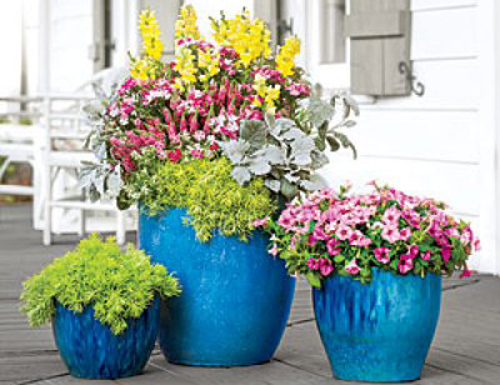 Pack a powerful, single note punch in the two smaller pots by planting 'Supertunia Vista Bubblegum' petunia in the midsize container and more sedum in the smallest. OUTSTANDING! Read more.....Planting a container is easy.